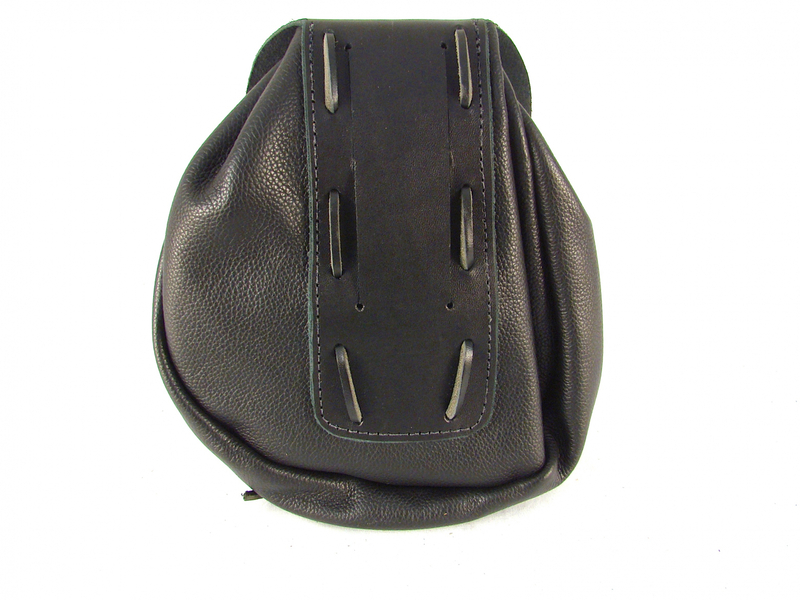 Sporran Rob Roy Sporran Black Leather Sporran | Holy Heck U.S.A. This Rob Roy sporran is a contemporary version of the traditional Rob Roy sporran featured in one of the amazing displays in Inveraray Castle in Scotland. 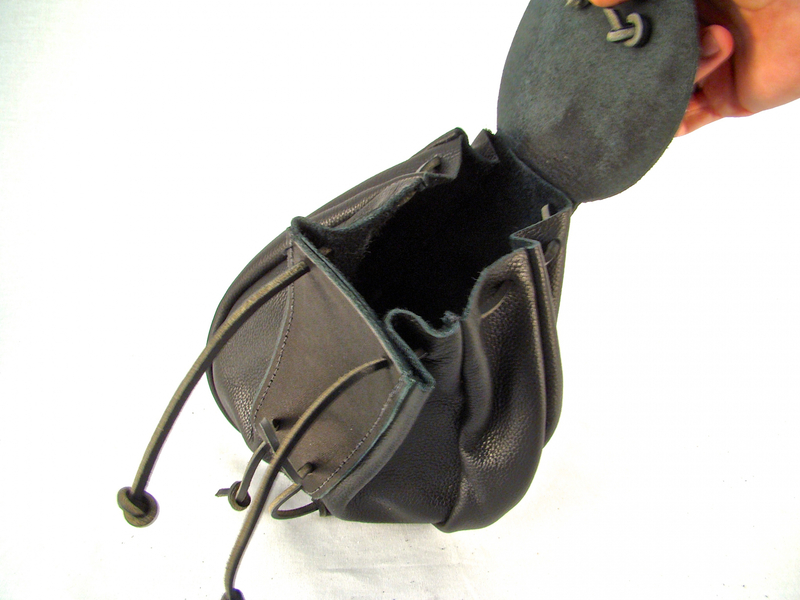 Outfit your kilt with this basic black Rob Roy sporran and have a place to stash your stuff. This roomy sporran is approximately 8 inches x 7 inches in size and has an expandable opening to hold your phone, money, and other necessities. 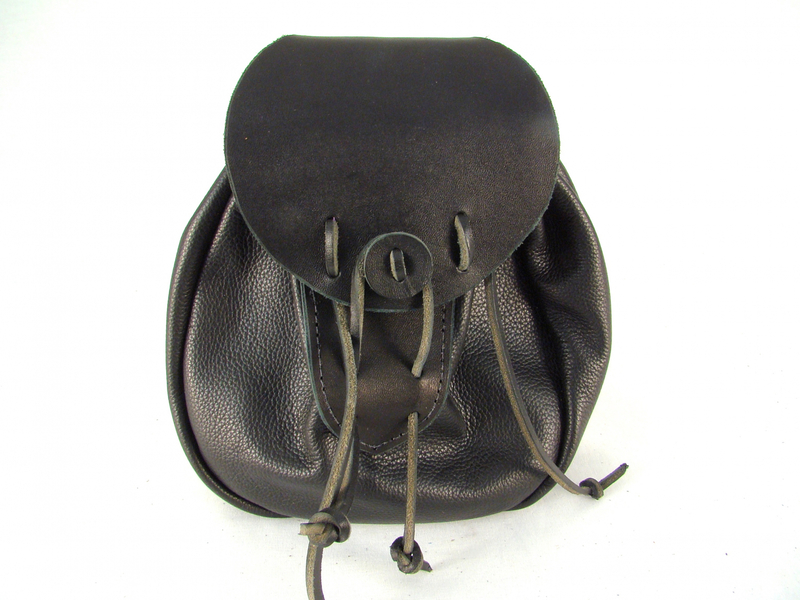 With front flap that cinches down with a leather tie this sporran is handmade with 6/7 ounce leather for the flap, back and front support structures and completed with black garment leather for flexibility. 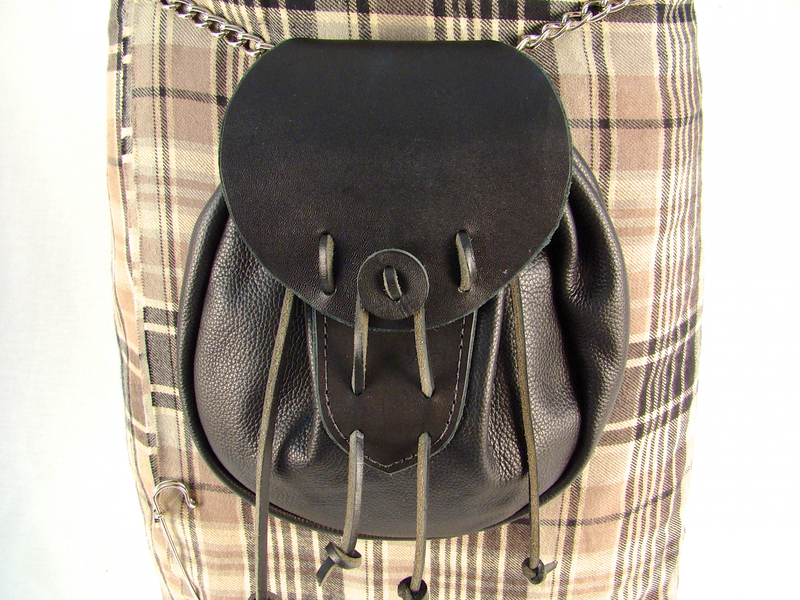 There is a leather belt loop on the back of the sporran that is 4 x 1 1/2 inches, and can be easily added to your kilt belt or used with a sporran chain and belt ensemble. *Sporran Belt with Chain Sold Separately. My new favorite sporran! Pictures don’t do it justice. Super quality and craftsmanship. Super fast completion and delivery. Can’t wait to use it!